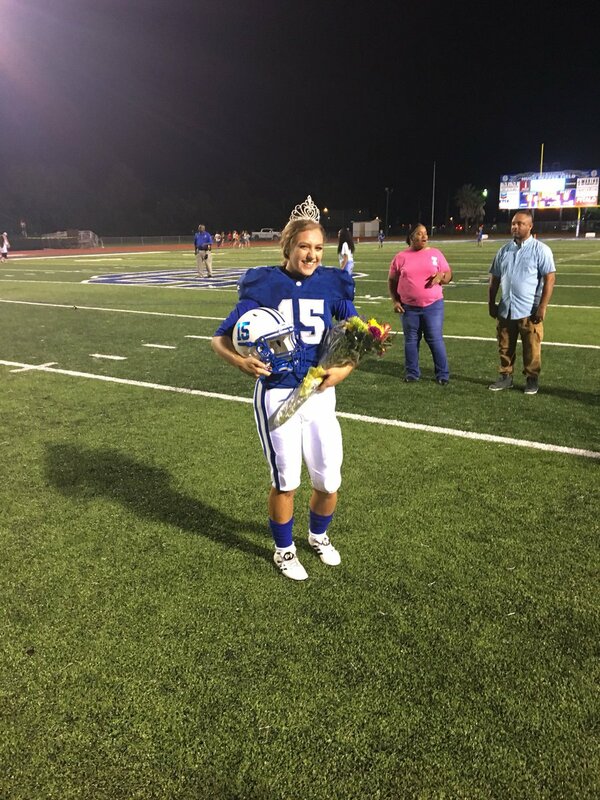 It's a good day when you are named homecoming queen, kick two field goals in regulation, score seven of your team’s 13 points, and kick the game-winning extra point in overtime. 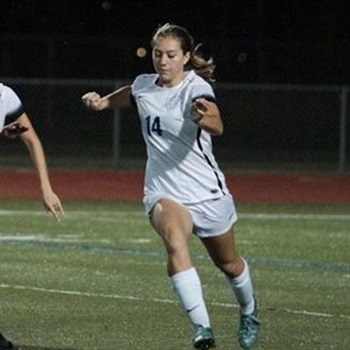 Oh, and she's a soccer star, too. Good on you, Ocean Springs, Mississippi. Yeah, but Leo would spoil her day with a dress code violation for showing too much leg over her socks. I can't imagine why no one is looking at this guy. "Calumet New Tech High School, a 17-year-old, 350-pound quarterback"
"He is on the field nearly every snap. In a span of 10 minutes, he plays quarterback, running back, fullback, left tackle and defensive tackle." "This season, Bubba had his own package—the "Flex" package—and a series of play calls for short-yardage situations. But he was not simply limited to those." "In a more expanded offensive role, he ran for 326 yards on 39 carries and scored three touchdowns. He also completed three of four passes for 87 yards and another score. Defensively, he added 38 tackles, seven tackles for loss and three sacks." Seems hard to imagine him not eventually getting his scholarship. Good luck, Bubba. Somebody will take him. But most of the schools recruit a "formula" that doesn't leave much room for creativity. Like Virginia Tech turning down Stephen Curry because of his size. 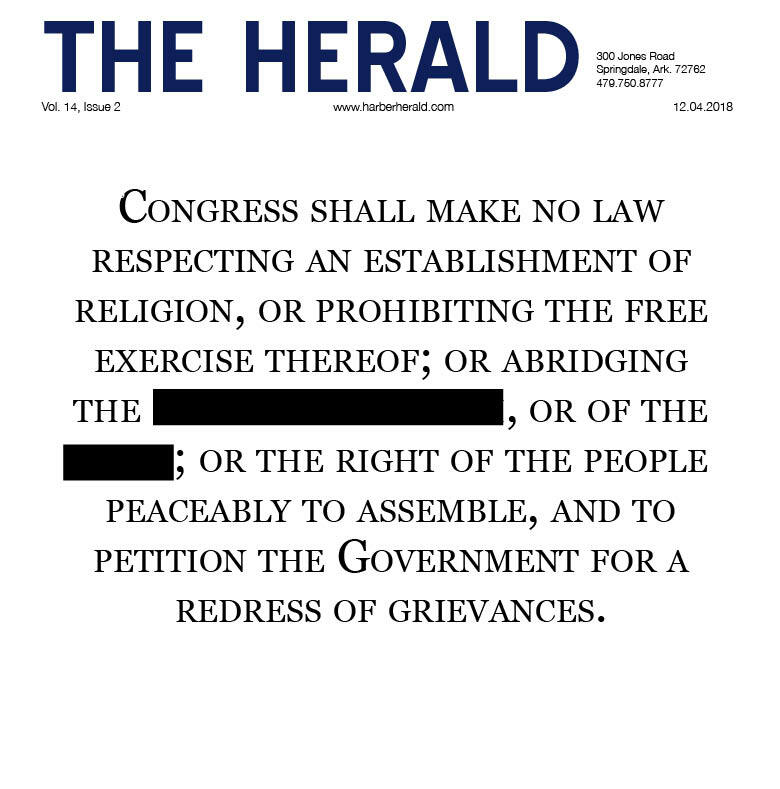 “They are like, ‘Well, you raised an uproar, we’re going to try and silence you,’” said Halle Roberts, 17, the editor-in-chief of the Har-Ber Herald in Arkansas. Punish quality journalists and a quality advisor for having the integrity that you entirely lack. Shame. Resign, you are dangers to the students, staff, sport, community, state and nation. Thank you for your amazing work, and please pass the same on to the Har-Ber Herald staff. Below is an email I've sent to Springdale Public Schools officials.